Recent advancements in technology have created a need for greater understanding and guidelines in a growing industry. At TW Group, Inc., we know the risks businesses face when it comes to a data breach and can provide the comprehensive coverage needed for security. If your company utilizes computers or other forms of technology, you are susceptible to a cyber breach. We can provide your business with a comprehensive cyber liability plan to cover damages if your business’ data is lost, stolen or compromised. We routinely protect businesses in Westmont, Hinsdale, Oak Brook and surrounding areas. Through our established partnerships, we can create tailored insurance solutions. Our team of agents will work with you closely to understand your business model and make sure your plan doesn’t have any gaps in coverage. 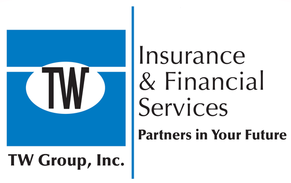 At TW Group, Inc., we are adamant about creating the right insurance solution for each business. We take the time to get to know each client to fully understand their coverage needs and create a tailored policy to match. To learn more about our offerings for businesses, please contact us.